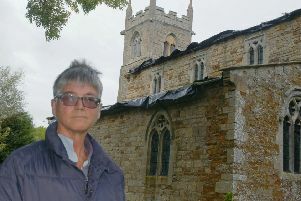 Revised plans to build a four-storey block of apartments and demolish part of a listed wall on the site of the old War Memorial Hospital in Melton have angered residents who live nearby. Planning permission was granted for the redevelopment of the site in 2013 with a linear block of three-storey retirement apartments on the land between Wyndham Lodge and the stables, plus three detached properties to the south. But the amended plans are for a four-storey block of 38 flats on land directly to the south of the stables, fronting Ankle Hill, and also now erecting six single-storey dwellings on the land between the lodge and the stables. The new lay-out would require the demolition of a section of the listed garden wall. Bob White, who lives on Ankle Hill, has written to the council to object. He told the Melton Times: “All of us residents are appalled by the change, in that they are proposing to move what was going to be a small unit of flats situated at the rear of the stable block, to an area directly opposite us which we were originally promised would be a visual amenity, a parkland, for residents and people walking into town to enjoy. Applicant Wyndham Lodge Developments say in its new planning application that the revised plans are intended to enhance the look of the development. It states: “Much of the (listed) wall has already been lost through neglect and vandalism.